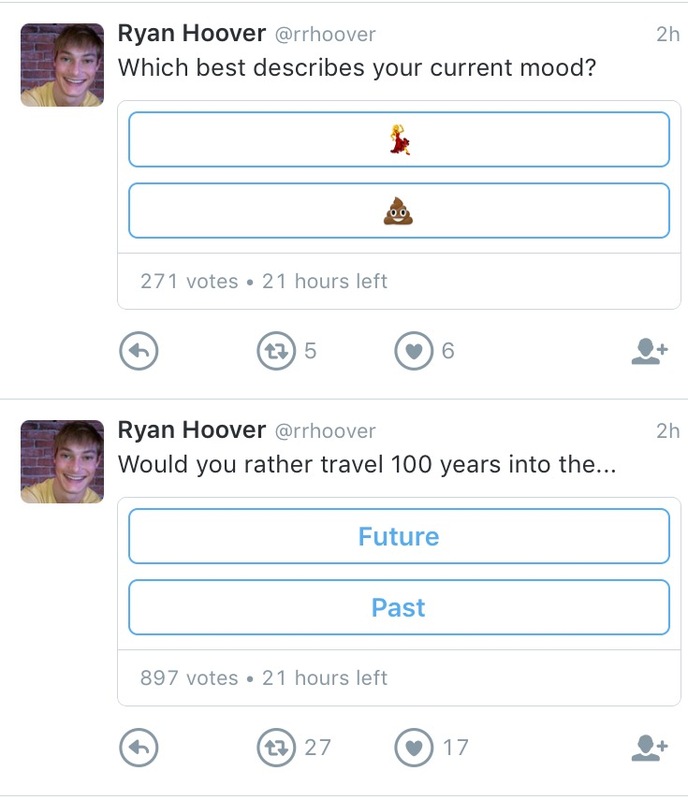 If you have ever wanted to do a quick poll of your followers, you would either need to watch all your @replies or use a third party off-site polling tool in order to calculate results. 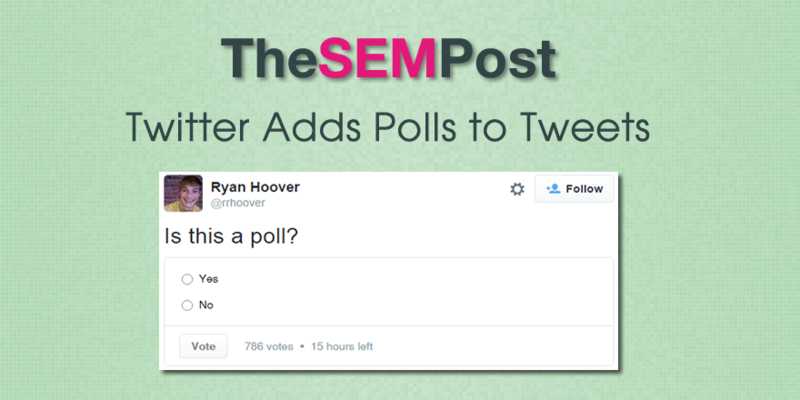 But it appears that Twitter is testing a poll that you can embed directly within a tweet. It isn’t clear what is currently powering these polling tweets, so it is likely in-house as opposed to a third party solution teaming up with Twitter to display their polls in tweets. There are some great opportunities to use this for decision making on the fly. 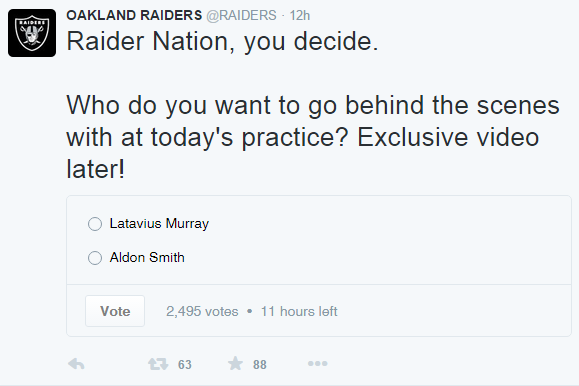 For example, the Oakland Raiders used it yesterday to let the fans decide which player should be featured behind the scenes for that day’s practice. Not all users currently have access to polls, but it isn’t restricted to just verified users, as non-verified users are also using them. If you have the option to add a poll, there will be a new “Poll” box that sites between the location and the character count on the Twitter web client when you go to compose a tweet. 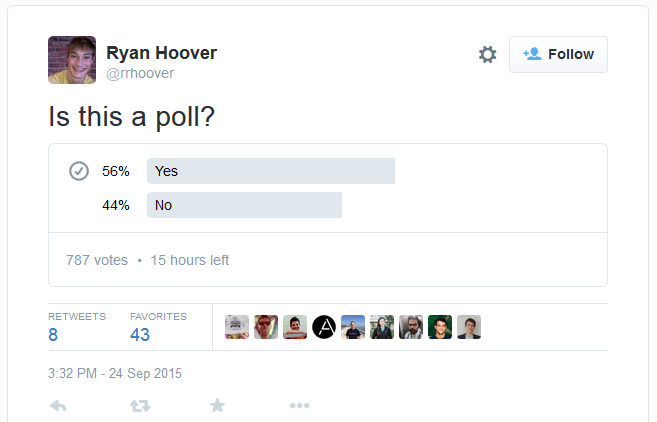 The create poll option is not available in Tweetdeck. A nice addition but I suspect it will get old very quickly if everyone begins making endless polls and the Twitter feed becomes cluttered with them.